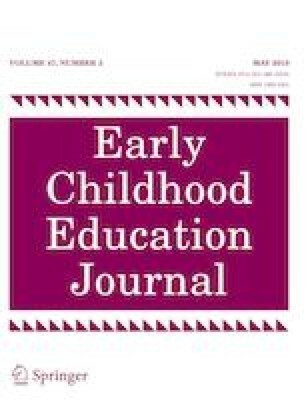 Focusing on 84 Chinese–English dual language learners (DLLs) in U.S. preschool programs serving children from low-income backgrounds, this study investigated which aspects of the home language and literacy environment and which parenting styles may be related to these DLLs’ oral receptive and expressive language abilities in Chinese and English. Key findings were: (1) the frequency of parental book reading was associated with better expressive English in DLLs; (2) parental book reading (whether in English or in a combination of English and Chinese) was linked to better expressive English in DLLs; (3) DLLs whose parents read to them in Chinese (Chinese-dominant) and those whose parents read to them in both Chinese and English (bilingual language-dominant) achieved better receptive Chinese than those whose parents did not read to them at all; (4) DLLs whose parents used both English and Chinese (bilingual language-dominant) when conversing with them achieved better expressive English than those whose parents used exclusively Chinese (Chinese-dominant); and (5) authoritative parenting was associated with better receptive Chinese in DLLs. Interpretations of the findings were discussed in the context of bilingualism. This research was supported by a Kean Foundation Faculty Research Award to the first author. We thank all the research assistants for their capable assistance in collecting the data. Special thanks also to the parents and children who participated in this study. Garcia-Sierra, A., Rivera-Gaxiola, M., Percaccio, C. R., Conboy, B. T., Romo, H., Klarman, L., … Kuhl, P. K. (2011). Bilingual language learning: An ERP study relating early brain responses to speech, language input, and later word production. Journal of Phonetics, 39(4), 546–557. https://doi.org/10.1016/j.wocn.2011.07.002. Wu, P., Robinson, C. C., Yang, C., Hart, C. H., Olsen, S. F., Porter, C. L., … Wu, X. (2002). Similarities and differences in mothers’ parenting of preschoolers in China and the United States. International Journal of Behavioral Development, 26(6), 481–491. https://doi.org/10.1080/01650250143000436.